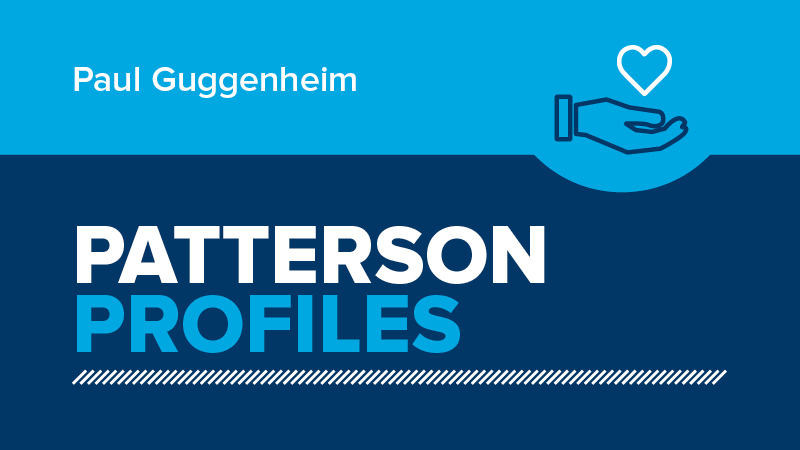 Welcome to Patterson Profiles, a new series where we sit down with a Patterson Dental VIP for an in-depth chat about their personal involvement with a philanthropic organization. These individuals pursue their passions with purpose, and personify Patterson’s commitment to community! We’re kicking things off with Paul Guggenheim, who has served Patterson Companies for more than 17 years in a range of executive positions. For 7 of those years, Paul has been closely aligned with the National Children’s Oral Health Foundation (NCOHF). 1. 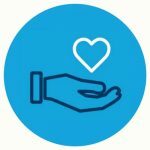 Why do you believe companies should include philanthropy in their business efforts? I think as business leaders we have an important responsibility to do good in the community by helping folks who are less fortunate achieve access to the dental care they need in our country. Proper dental care is particularly critical for children in school in order to be successful and accelerate in their learnings early in life. It’s very important for us as an organization to realize that helping to create strong communities with access to health and dental care will have a big impact on our future. 2. There are many worthy charitable organizations to work with. What drew you to NCOHF? I was working on the board of Children’s Dental Center of Greater Los Angeles. It was the original affiliate location for NCOHF. Dr. Cherilyn Sheets, the group’s leader, had a vision to take the success they achieved in Inglewood and implement it in a more national organization. That is how NCOHF came to be 15 years ago. So I was drawn to NCOHF through my experience with Dr. Sheets, her passion for helping the Inglewood community, and her goal to take that model and expand it to the rest of the country. 3. How does your involvement in NCOHF align with Patterson’s core values? A big part of our core values involves building connections for healthier communities. We are in a unique position as a provider of dental services, equipment, and products, to really stay focused on how we improve the oral health of at-risk communities within the country. So NCOHF absolutely connects to our core Patterson values, and our interest in helping communities become stronger and healthier. 4. What does your role within NCOHF look like? I am Vice Chairman of the National Children Oral Health Foundation. Part of my role involves sitting on the board, but it also involves working with the leadership team on their management, strategy, and implementation of their organizational vision. 5. Where would you say your involvement in NCOHF has added the most value? Patterson is a powerful influence in the dental community, so the value that I add is to bring connectivity to the organization – to various manufacturers, companies, and resources within the dental space. We also communicate the NCOHF mission to our customers, promote products that help them move forward, assist with fundraising, and provide guidance on overall strategic direction for the organization. 6. What greater meaning comes from your involvement with NCOHF? I’ve spent my entire life in this industry, and have grown to realize our unique position to have a direct impact on improving the lives of folks around the country. That happens by the virtue of the products/technology/advancements in dentistry that we are so passionate about, but we have also an important role in advocating for the dental care needs of at-risk communities. Dental care is an integral part of total health care, and these at-risk communities are particularly affected by the lack of dental care, so this can have a domino affect. Dental issues are one of the main factors that keep kids out of class, which keeps them from learning, so you can see why this is a serious problem. I think that’s probably what’s most important about this mission…to make sure that we provide the appropriate care to people who can’t access it themselves. 7. What’s a favorite memory you’ve made during your time working with NCOHF? Over the years we’ve had a number of retreats, where we’ve gone offsite to think about how we can promote the mission and vision of NCOHF. My most engaging and exciting memories would be those times we spent at the retreats, literally whiteboarding ideas to help promote access to dental care around our country. 8. What is one thing about NCOHF that people may not know? The founding Chief Executive, Fern Ingber, who did a fantastic job growing the organization’s vision and position within the community, has recently retired. Our new Executive Director, Jill Malmgren, has stepped in to fill Fern’s role and has done a fantastic job so far. She has an exciting view forward for the organization. 9. What does success look like with NCOHF? I think success involves expanding their program coverage by increasing the organization’s reach around the country and providing increased access to care. It also involves successfully expanding the dental resource program that helps NCOHF affiliates around the country succeed and thrive. 10. What is the biggest challenge facing NCOHF? I think the biggest challenge is simply the significant amount of need that’s out there in our communities, and our ability to provide as many resources as we possibly can to make sure we are addressing those needs and reaching those at-risk children. It’s a matter of scaling up resources and focus, so that we can get to everybody and make a difference. 11. What can people expect from NCOHF in the next few years? Well, I think under Jill’s leadership we are going to see exciting new changes. Jill has a passion and a vision for the organization that’s going to be important in leading them to drive impact with their programs. I think they will also continue to expand their network of affiliates around the country to help focus and amplify the important work they’re doing. 12. How can interested groups and individuals get involved with NCOHF? You can contact NCOHF directly through their offices which are in Charlotte, North Carolina. They can be reached at 1-800-559-9838, or online at NCOHF.org. I speak on behalf of the organization to say that we welcome everybody who wants to get involved. Please feel free to contact the organization, donate, volunteer, and help us educate. I think we should all do our part to help improve the lives of the people around us, especially those that need our help the most.